HOLLYWOOD (Spiritsman) 4/6/18/–The Last Drop team is delighted to finally be introducing their very first Port release this week—The Last Drop 1870 & 1970 Centenario “Old Colheita” Tawny Port Duo— an exquisite debut spanning 100 years of port that expands their distinctive portfolio to include rare fortified aged wines for the very first time as the company celebrates it’s 10th Anniversary this spring. 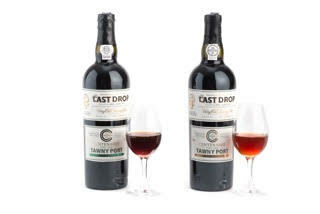 Over the past decade, The Last Drop Distillers has brought some of the world’s finest whiskies and cognacs to connoisseurs and collectors across the globe, however Ben Howkins, a celebrated Port authority and one the Last Drop’s Directors & tasting experts, has always believed there was a space in the Last Drop’s collection for a truly fine, rare old Tawny Port. Thus, the Last Drop team led by Ben, began their journey into the majestic Douro Valley to seek out the Ports that could stand up to their strict requirements for the rare and truly exceptional. To help guide them on this journey Ben sought out his dear friend, wine pioneer and vintner Cristiano van Zeller, a descendant of the 18th century van Zeller family – one of the oldest and most respected families in the Port community – to ask for his help in finding the Ports that he had dreamt of. Cristiano van Zeller’s Tasting Notes: Deep mahogany at its core, adorned by a halo of midnight and olive green. As the wine is poured into the glass, a subtle aroma fills the room, with layers of rosemary and toffee. Time has concentrated the color, the depth and the aromas. The nose is of fig, honeysuckle and molasses, overlaid with cedar, roasting coffee, cigar leaf and honeyed orange peel. Time seems to stop as the wine envelopes the palate. A vibrant acidity transforms this testimony of time as the wine lingers with an astonishing persistence and an endless finish. Ben Howkins’ Tasting Notes: Deep glorious greenish hue that comes with revered age; aromas of succulent dried fruits; lovely long rich structure with chocolate overtones in the mouth, elegant fresh balance with a covetous rippling ongoing aftertaste. A black and white tasting note simply cannot do justice to a wine almost 150 years old. When presented to us, it absolutely stunned us with its old fashioned charm, yet its character was so beautifully vibrant. Cristiano van Zeller’s Tasting Notes: A bright tawny color surrounded by a thin line of gold and green. The nose is enveloped with dried figs, and peaches, caramel, toffee and cinnamon, elevated by touches of smoke. 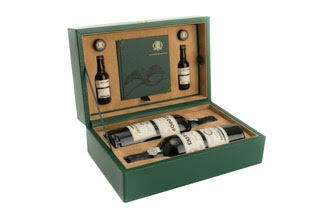 Nearly 50 years in cask have concentrated the wine whilst maintaining its freshness. On the palate, the wine has grip and intensity and, as it begins to subside, it bounces back in a surprising wave of pleasure. Ben Howkins’ Tasting Notes: Glorious reddish-brown color; aromas of rich balanced nutty fruits; deep rich balanced flavors giving way to an enviable freshness that excites and enervates the aftertaste. This wine, almost 50 years old, tastes more generous and harmonious than many 1970 vintage ports taste today. From the same provenance as its elder sibling, the 1870, neither aged tawny ports have ever left the Douro Valley… until now. the rare, exceptional and delicious, and their mission to only offer the best of the best. With only 770 sets available worldwide, of which only 200 will be available in March in the U.S.A., this exclusive release of two remarkable ports spanning a century is one that only a fortunate few will have the opportunity to taste. Founded in 2008 by spirit industry geniuses and rare spirit hunters, James Espey and Tom Jago, and now run by their 2 daughters Beanie Espey and Rebecca Jago, The Last Drop Distillers is undoubtably the world’s most exclusive spirits company. Traveling the world on a journey to find the precious ‘last drops’ of some of the oldest and finest vintage spirits in existence, the Last Drop Distillers specialize in discovering these rare gems from around the world and bottling them to offer an experience that only comes to most people once in a lifetime.